Social Media Employee Amplification is one of the three main categories of social media advocacy marketing. The other two categories are influencer marketing and customer endorsement. Influencer marketing relates to promotion by traditional brand ambassadors like celebrities or affluent personalities. More recently, social media accounts with a large follower base have been added as influential entities. Customer endorsement refers to positive public commentary by clients and is considered word-of-mouth marketing. This article focuses on the third and most intriguing form of advocacy, namely employee amplification. We will explain what this concept means, what the benefits to using it are, and highlight key considerations for implementation. What is Social Media Employee Amplification? In short, this approach centres on harnessing the power of your staff as brand ambassadors for your organisation. The process itself involves tapping into the value offered by employees through social media activities. This is done by encouraging staff members to publish or share brand messaging on their personal social media pages. The concept of employee amplification certainly adds a whole new dimension to the term “human resources”…..
Who should use employee amplification? Theoretically, any brand could use this technique, regardless of organisation size or business industry. But success of employee amplification hinges on how your staff feel about the brand. Are they passionate about it? Are they proud to be associated with it? Do they believe in the service or product offering? The more loyal an employee is, the more authentic their endorsement will be. No staff member should be forced to publicly support their employer via their personal platforms if they are not keen to do so. Unhappy or unwilling individuals are likely to cause more harm than good. 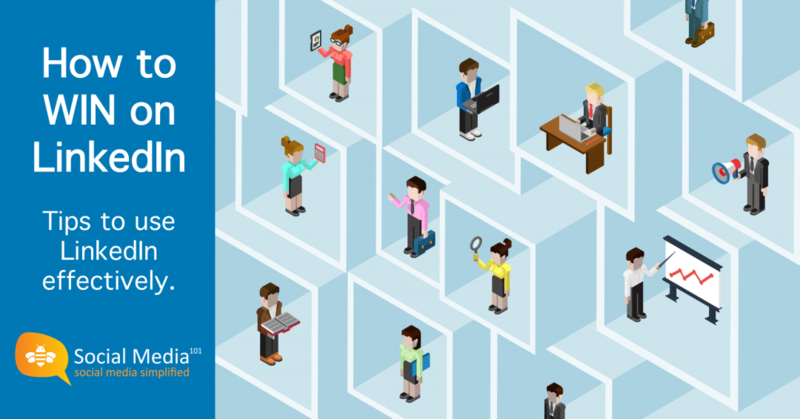 implementing a formal employee advocacy program. Reach & Exposure: Earlier is year, Facebook made a change to its algorithm that had a major impact for business pages on the platform (click here to read more). The change meant that users see more posts from their friends rather than business pages, drastically reducing organic reach by brands. Employee amplification means that you can counter-act this change as content shared by staff will not have the same restrictions as posts shared by your business page. 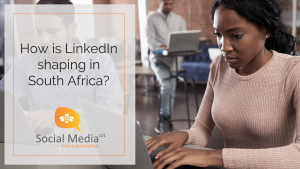 Using business networking platform LinkedIn as part of an Employee Amplification strategy is also a great way to gain exposure via employees’ professional networks. The platform has a viral quality to their algorithms in that every post that a user likes, comments or shares is directed to their contacts timeline. Content shared by users has a generally much wider reaching when compared to a business’s own page. Organic reach: As mentioned above, posts shared by employees will have organic (free) reach. Such exposure would result in better social media figures that are unlikely to be achieved via any other unpaid method. It is therefore a financially beneficial technique. Credibility & Engagement: Content shared by a staff member is largely seen by people that know the person thus adding a level of credibility to the message. Posts by network contacts will also have a higher engagement percentage (views, likes, shares, comments) than those sent directly from the brand’s account. Business & Marketing: Other tangible benefits include increased sales, improved brand awareness and affinity, and a higher level of consumer trust in the brand. Not only do these elements positively impact bottom line objectives, but also support other company activities like recruitment due to favourable positioning. Position relevant/key employees as thought leaders and trusted advisors. This not only impacts the brand positively, but also helps elevate employees’ personal brands. For certain companies, this could also lead to more business. For example, a high-level or high-involvement sale often relies heavily on the relationship between sales consultant and potential client. As most people research new acquaintances online, the more impressive; credible and trusted the brand’s employees look, the higher the possibility of closing the deal. Include value-rich content for users: Centre messaging should on interesting or useful content such as articles or tips. If you need to send out direct marketing posts, incorporate some sort of value for the recipient, such as a great offer or valuable resource. Craft posts in a way that makes staff want to share it with their audience. Again, valuable and interesting content is key. This includes posts shared directly from the brand’s page, as well as employee-generated content. Visually appealing, good quality content is imperative to encourage staff advocacy. Make the process as simple as possible. This means providing them with suitable high-quality, correctly sized images. Written content for posts can be provided as well should certain employees prefer a less time-consuming option. Start by getting staff trained on social media fundamentals. Training will provide them with a basic knowledge of social media etiquette (such as do’s and don’ts), as well as best practices per platform. This upskills and empowers staff. It also ensures a level of quality when it comes to social media activities. These skills will benefit them in both in their personal and professional capacities. Have a social media policy in place to mitigate potential risk. This is an imperative requirement that needs to be in place before employee amplification activities start. It provides staff with rules to abide by and sets out company recourse if they fail to do so (including possible legal action). It is best to consult a legal expert knowledgeable on the social media legal landscape for advice. Implement an internal social media procedure. Structure a plan that includes an approval process so that all content is screened prior to publishing. Each participating employee’s personal accounts should also be screened before they share any company posts. This will prevent the brand from unintentionally associating themselves with undesirable viewpoints that the employee may have on their page (such as prejudicial or controversial content). Offer employee incentives. While you may be fortunate enough to have staff that are happy to share brand messaging out of sheer loyalty, use incentives as effective motivators. Whether you measure trackable data (e.g. clicks to website) or engagement statistics (such as comments, shares and likes), the choice is yours. You can also have specific rewards for a certain outcome, such as lead generation or recruitment referrals. You are likely to find quite quickly that the value gained from leveraging off staff resources far outweigh the incentive expense. Social Media Employee Amplification is an under-utilized method that could open up vast opportunities for your organisation. However, it is a technique that requires planning, research and infrastructure before implementation. Statistics clearly reflect that the effort and resources required are a viable investment with attractive returns. In this context, being a statistic is a good thing – so get started now! LinkedIn is a social network specifically tailored for business professionals. It is a brilliant platform to use for networking within your industry, enabling you to connect directly with decision-makers and allowing you to bolster your professional brand. In the last few months, LinkedIn has included some exciting updates like the ability to upload video directly onto the platform. As a business owner and professional, the platform is, however, saturated with recruiters looking to head hunt professionals as well as sales people hoping to sell you their products which makes the landscape difficult to navigate and convince your ideal prospects to speak to you. And now for the ugly… and this does exist on LinkedIn. There are a number of fake profiles who harvest people’s personal information, like your email address, and use this to send out spam and phishing emails. So be aware, any email that lands in your inbox which seems out of sorts or suspicious, especially when being asked to download or click on something, rather ignore. There are two ways to present yourself on LinkedIn. The first is through your personal profile and the second is through your business profile. These are both important to have properly set up and serve different purposes. Think of your LinkedIn profiles as your shop window. People are bustling down the street or in this case through the platform where you want to attract them into your store, or onto your profile. With this in mind, it is vital to have a clear, strong brand shown on your profile, whether your own brand or that of your business. Business Profiles allow your business to gain followers of people who want to see latest updates, information and insights from your business. Personal profiles allow you to connect with other individuals where you are able to view their latest updates and them yours. You can also comment, share and like their posts which will then be shared in your network’s timeline when they are next online. 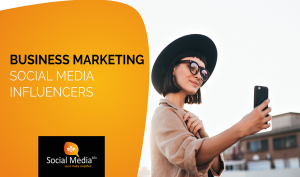 Business profiles allow you to promote your content through paid advertising where you can target specific companies or job titles you want to reach. LinkedIn is one of the more expensive social media paid promotion options, however they do offer specific targeting as mentioned above which can be used should speaking to specific decision-makers be your objective. Personal profiles can be used for free where you can upgrade your profile by subscribing to LinkedIn for more access options depending if you want to InMail people outside of your network or post job vacancies. Business profiles allow you to update images, videos and text posts up to 1000 characters where Personal profiles allow you to update images, videos and articles which can be shared to your Business profile. Business profiles allow you to post updates and include links from other pages or websites however you cannot post or comment on other people’s posts via your business page. You are able to respond as your business to comments on the content posted on your business page. Personal profiles allow you to comment, like and share both Business and Personal page’s content as well as respond in your personal capacity to comments on your own posts. Business profiles allow you to view reach, impressions and engagement for both paid and organic posts as well as track likes, comments, share and followers. On your Personal profile you are able to see data on profile views, article views and search appearances. Profile picture of your company logo. Clean and simple so that it is easily displayed. The profile picture on a business page is much like the profile picture on a personal page. It is the main identifier of the page and so you want to ensure your company brand is well distinguished. 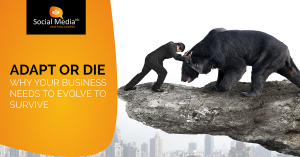 Background image… this is your online billboard and should represent a strong call-to-action of your business. Whether that be your website address or contact number, it must be clear what the user needs to do when they come across your business page. Populate the company about section, giving people more information about what you do, how you can benefit them and where to contact you. Keep in mind that this is where you want to put your best foot forward. In a lot of cases loads of time and other investments are put into fine tuning your company logo, tone of voice, brand identity, look and feel, product range, etc. All these elements also need to be considered when populating your personal profile. Firstly, have your actual name populated so people can find you. Or at least the name that is included on your business cards, on your website, etc. The name people know you by. This is to make sure that people can find you and know who you are. Then you would need to include your title. Now there is a lot of talk around including here what you can do for people, like in my case “I help people use LinkedIn effectively.” Personally, I’m not a fan of this because when I get a connection request from someone who uses this strategy in their title, I usually check these via my smart phone. What happens is, the title is shortened to fit on mobile so all I see is “I help people….” Which means you are pretty much doing the same thing as every other person using this tactic. Personally, I prefer that you include your actual title. What do you do so that I know immediately why you are contacting me or whether I should connect with you. Ensure to have a profile picture which clearly shows your face. I know most people opt for a more professional looking photo on LinkedIn of them in a suit, however I am not opposed to using a photo which represents you and your personality. Do keep in mind this should still be a clear and professional headshot, not a photo of you jet skiing or lying in bed, nor your company logo – I want to see who you are. Your background image is still your online billboard. If you are well linked to your business in other words, the MD or a Director, this can be used to showcase what you want people to do regarding your professional link to your business. That could be your company website address, your contact number, that you offer a complimentary assessment, are hosting a summit, etc. Use this advertising space as effectively as possible. If you are more focused on building your personal brand, ensure to include information about you that you want people to know. Your social media handles on other platforms, your blog site address, that you are a world-renowned athlete or top business mentor in your field. When populating your about section, you have roughly two lines before someone has to click “read more” so make sure you get to the point on what you want people to know about you within those first two lines. I would then recommend to populate your work history as best as possible, but also be discerning as to whether you would rather only update this from a certain point showing a timeline to bring you to the position you are in currently. What this means is doing a little bit of window dressing. Now I am not saying lie on your profile, but unless you are actively searching for a new job, it is best to put your best foot forward so that you can position yourself as a thought leader in your industry. In other words, if you flipped burger patties in college to pay for your tuition, it is not necessary to include this work experience. Rather just populate the degree you earned while at college. Your CV will cover all your work experience in detail which you will send out upon request and when you are in the job market. So now the meat and the juice of how to use LinkedIn effectively. Your business and personal profiles will work symbiotically to drive positioning and thought leadership. The worst thing you can do is constantly talk about what you have to offer, in other words sell. Sending unsolicited and generic or blanket inMails telling people what you do quickly become redundant. Effectively, you want people to inMail you asking for your services. Here are my top tips to drive and populate your LinkedIn sales funnel. Firstly, provide value. Update interesting articles on your personal page sharing industry insight, interesting tips or how-to’s. Now I know everyone is going to come at me saying that they don’t want to share their IP publicly because their competitors will scoop up this information and have an advantage. In response to this, don’t post your secret sauce, but there must be things that are pretty common knowledge in your industry amongst you and your competitors that your clients and potential clients may not know but would find of value or interesting. These are the insights I am referring to, like in this case I am willing to share with you how to win on LinkedIn with a few tips to improve your client experience when engaging with you and your company on social media, however I won’t share our secret sauce on paid advertising and targeting. Also, you can share a link from your article posted on your personal page on your business page. Unfortunately for now, LinkedIn doesn’t offer the option to post articles on business pages but this is a nice work around. With that in mind, keep your business page populated with interesting posts, ideas and offers of value to drive traffic to your website or to get in touch with you. You can then also share these posts onto your personal profile as it is more likely that you will have more connections on your personal profile than followers on your business page. Secondly, make sure you engage with others on LinkedIn. From your personal capacity, like and comment on other people’s posts in your timeline. Share your views and opinions, politely – don’t get into heated discussions and please avoid posting or commenting on anything religious, political or sexual in nature. Use these comments to position yourself as a thought leader, the go-to in your industry. On that note, if you get a seemingly negative comment on your post, don’t engage! Don’t feed the trolls. They are there and giving commentary in the hopes to illicit a response so don’t give it to them. They will quickly realise they get no kicks from you and move on to other unsuspecting prey. Be discerning on who you connect with. This is not about not connecting with someone you don’t know, but if you get a connection request, have a look through their profile to get an idea of who they are and what they do to see whether there is value in you connecting, be that a client, supplier, referral, etc. The same goes when connecting with people. Rather choose to connect with people who are relevant to you and your industry as they are likely to post content that speaks to you, providing you with more opportunities to comment on their posts and show you to be a thought leader. If you found this interesting and of value, I urge you to implement these changes to see what impact these tips could make to your personal and business pages on LinkedIn. We also offer more in-depth workshops regarding personal branding to really bolster your online persona as well as assist businesses with full-scope branding strategies for LinkedIn. Please feel free to be in touch, should you want to talk more on this. 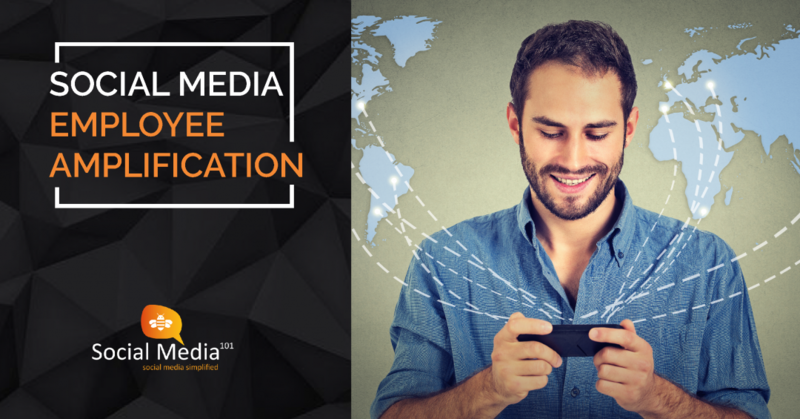 CLICK HERE to contact Social Media 101.